In a recent ceremony in Beijing China, the organiser of ProPak China-UBM Sinoexpo Ltd. and China International Exhibition Ltd. signed an agreement with the organisers of Foodpack China – the China National Packaging and Food Machinery Corporation (CPFMC) and China Food and Packaging Machinery Industry Association (CFPMA). Running 19-21 June 2019, the two shows will be held side by side in a new venue - National Exhibition Convention Center Shanghai (NECC) concurrently with several other sectors such as pharmaceuticals, food ingredients, starch, health & lifestyle. “We will build up a super-sized show covering the whole supply chain from “process through to packaging of the food and pharmaceutical industries” at the two biggest venues in Shanghai next June at Hongqiao and Pudong . The strong alliance of both ProPak China and Foodpack China will give us a leading position in the area of processing and packaging” said Mr. Wang Mingliang, Founder and Director of UBM Sinoexpo Ltd.
As the premier event in China for the processing & packaging industries, ProPak China, organised by China International Exhibitions Ltd. (CIE), part of UBM plc, has become one of the largest trade fairs of its kind in Asia. Technology covering industries including food, beverage, dairy products, confectionery, convenience and snack foods, healthcare and medical products as well as fast moving consumer goods and industrial processes have been showcased at ProPak China for over 20 years. Foodpack China - Shanghai Food & Packaging Machinery Expo, is one of the most important professional events in China for the complete chain from equipment to products in the fields of international food and beverage, co-organised by China National Packaging and Food Machinery Corporation (CPFMC) and China Food and Packaging Machinery Industry Association (CFPMA), the past 17 editions made this event as the first-choice to know and select equipment both in China and internationally, and to better understand the developments and trend of the food & packaging machinery industry. 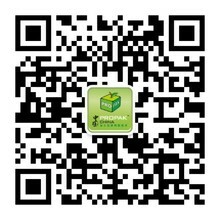 Now has come a time when the two giants - ProPak China and FoodPack China have confirmed to be co-located 19-21 June 2019 and move together to a new venue - National Exhibition Convention Center Shanghai (NECC), the largest single block building and exhibition complex in the world. Alongside with the concurrent shows of Food Ingredients, Natural & Nutraceutical products, Starch, Health & Lifestyle at NECC, a supersized show of 240,000 sqm encompassing the whole supply chain from food ingredients, processing, packaging to Health & Lifestyle with multiple interconnections will significantly project this combined event to become the premier trade fair in China for the processing and packaging industry. Over 100,000 buyers from home and abroad are expected to visit the fair grounds. The date change of ProPak from every July to June means that the annual leading process and packaging event at the NECC will be held concurrently with another UBM Flagship show for the Pharmaceutical sector at SNIEC, the other venue of Shanghai Pudong area - CPhI China, the leading pharmaceutical ingredients show in China and wider Asian - Pacific region, creating a food and pharmacy industry gathering in Shanghai for the first time. Altogether 6000 exhibitors and 150,000 trade buyers will meet across the two venues covering over 400,000 sqm, which will be a record event to ever take place in Shanghai.